We announce the final stage of the technical preparations for the Open Beta Testing of Escape from Tarkov. Thuswise, starting December 28 and over a few weeks, we'll conduct load testing of game servers in order to adjust processing for a large number of new players at the start of the OBT in the beginning of 2018. For this purpose, we have planned a New Year event, which will give free access to the game to a part of users who are registered on the official website of the project, but are not playing yet. 7-day access to the game will be granted to a part of the players, who will be picked randomly among the total number of subscribers, with bias for those who have been registered earlier. Within a week after the event launch, the game will be available for purchase with a 25% discount, which is effective for all types of transactions (purchases, package upgrades and gifts). Moreover, every user who has already purchased access to the game or bought the game during the 7 days of event, is guaranteed to receive additional game gear with ability to restore it within 6 months after each profile wipe, including manual one. Two 7-day access keys and the opportunity to share them with friends during the week. and two 7-day access keys and the opportunity to share them with friends during the week. 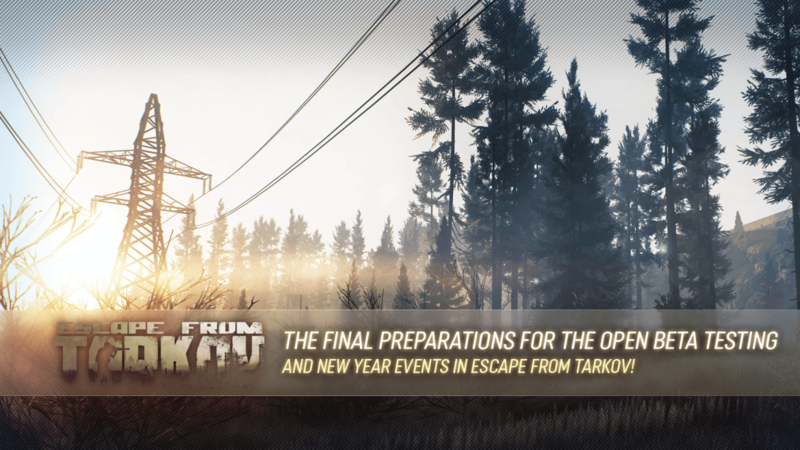 Also, we announce that forthcoming updates, which will be released before the end of the year, will include the full version of the Shoreline map, new weapons and items, as well as new features such as the new spawn and extraction system, dynamic weapon size change, helmet customization system and improved headwear slots, redesigned system of weapon mastering, dogtags and other features, which will be explained in more detail in the near future. In the early 2018, with launch of OBT, the game will be further expanded with advanced game mechanics, and some of the existing ones will be redesigned. Moreover, players shall expect further optimization of the graphics and network components, as well as the new Interchange location and additional game content. We are pleased to announce the preliminary change list for patch 0.5.0.** ! - Helmet customization, at this stage including enhancement of Ops-Core Fast helmet capabilities through selection of its modular parts. Later on in development the helmet parts will protect the respective parts of the head. At this point, however, helmet protection mechanism stays the same. - Dogtags, a new slot of the dead character body, which holds the identification tags with nickname, level, and affiliation of the character. - A list of characters you killed during session. If you kill a character and gather his dogtag, the player information will appear in the end-session kill list. Hi, Any fellow Singaporeans playing this as well? Am a noob to the game, just got it on the new year's sale and looking for some singlish speaking kakis to raid together and teach me how to shoot at PMCs and Scavs properly!! Any desync issues? Heard the servers are located in HK which will have some lag. Just died from a 5m hatchet runner swing...he's at least 5 m away and next thing i know i died..the lag is real...haha..
Last edited by terenceboy2; 31-12-2017 at 11:43 PM..
25% Off New Year Event Sale Ending Soon! 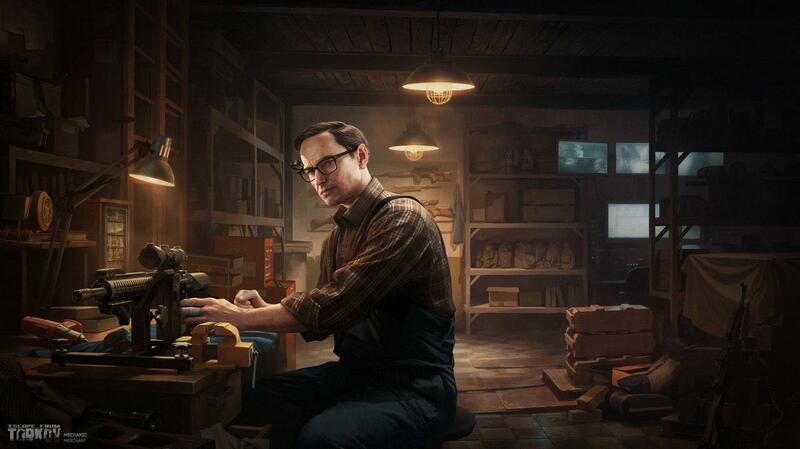 New trader coming......Recluse, Gun lover, high-tech maniac and simply genius. Last edited by Pyre; 11-01-2018 at 08:22 AM.. I doubt anytime soon. I’ve been playing for days and it seems to be optimised quite a bit. Just bought the game a few days ago. Looking to join up a group or team coz some of the missions / quests are just damn impossible to go alone. BTW, there are SG servers. See your connection log after each sessions. It connects to an SG server, looking like a AWS or Rackspace server. But I still see 200+ ping in game. Bad netcode, I guess. This update comes with a profile reset/wipe. All bonus gears can be obtained again from your profile. Loading/unloading of ammo into the magazine does not happen instantly. The time required to load/unload one cartridge may vary depending on the magazine and the level of the new skill, Mag drills. Time is spent on loading and unloading ammo in the raid only, in the menu the procedures stay the same as before. Loading and unloading can only be done with inventory open. If you close it or switch tabs, loading or unloading is interrupted. The cartridges that were already loaded into the mag, stay in it (and vice versa in case of unloading). Only one magazine can be loaded or unloaded simultaneously. The Info window displays the loading/unloading and mag check speed bonus if it is not 0. If you’ve started loading an empty mag, or unloading a full one, the precise number of rounds is displayed. Check accuracy is determined by new "Mag Drills" skill. The magazine can be checked either by animation - Alt+T or through the interface by Right-clicking and selecting Check magazine. If you checked the number on the 0 skill level, then it returns "~empty" - "<1/2" - "~1/2" - ">1/2" - "~full". As skill level 1 an approximate number will be shown. On level 2 - the precise amount of ammo will be provided. Full and empty mags are considered to be checked. All the magazines you take into the raid are checked automatically. Loading/unloading a checked mag doesn’t change the state, it remains checked. After firing, the number of cartridges in the magazine become unknown. Ammo check precision now depends on the Mag Drills skill, not on Weapon Mastering. Outside of the raid, the number of cartridges is always displayed precisely. If you have dropped a checked mag and picked it back up, it remains checked. If someone picked it up and dropped it again, it becomes unknown to you. The chamber also requires checking. Bnly by animation using the key binding Shift + T.
If you load the cartridge into an unknown chamber, it automatically becomes checked. If the shot was fired from a checked mag (first shot), the chamber remains checked. Otherwise, it becomes unknown as well. Elite levels allow you to automatically check the mag when you move it in inventory, and make loading even faster. A new type of trade barter - for dog tags. Antialiasing options (2x, 4x) in graphics settings. Attention! Recommended only for high-performance PC rigs. Generated set of scav exits at Factory that was always closed/required a key. Now there is at least one exit that doesn’t require a key. Armor customization window now displays the resulting armor characteristics according to the installed armor mods. "Back" button in the settings can block the interface, to correct this problem it is necessary go to settings, change the language to any other and click "Save".